Posted on April 8, 2018 Categories Promotion, Writing the BookLeave a comment on THANK YOU! Posted on April 5, 2018 Categories PromotionLeave a comment on IndieGoGo Ends Saturday! 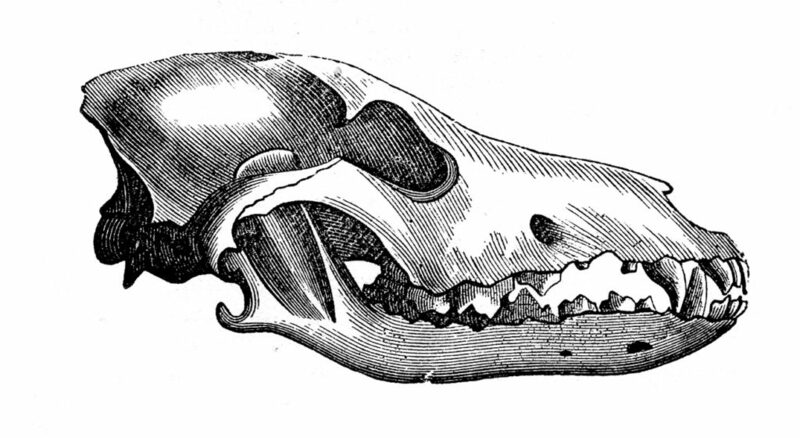 Now let’s shoot for the $6,000 mark, where I release the animal skull identification flashcards! Posted on March 23, 2018 Categories PromotionLeave a comment on First Stretch Goal Met! Posted on March 23, 2018 Categories PromotionLeave a comment on IndieGoGo Campaign EXTENDED! Call For Writers for Vulture Culture 101! Hey, everyone! So in case you haven’t heard, I am writing a book about Vulture Culture, the “fandom” that’s sprung up around the appreciation of hides, bones and other dead things in recent years. 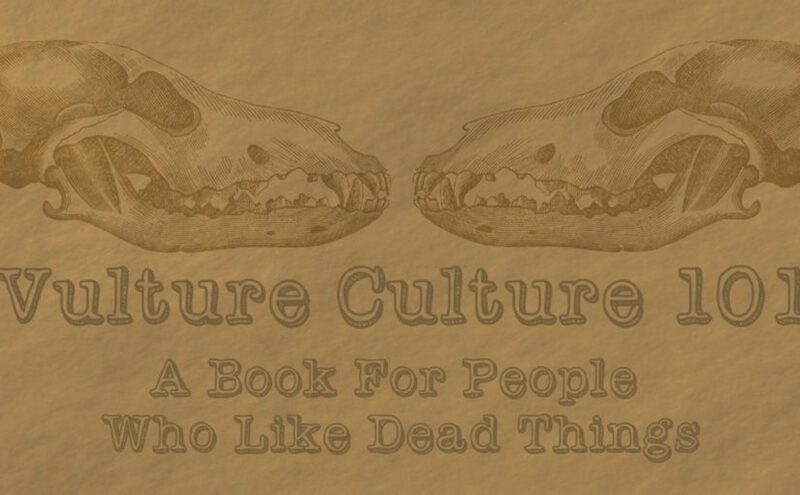 The working title is Vulture Culture 101: A Book For People Who Like Dead Things, and I will be self-publishing it via CreateSpace; the projected date of publication is Summer 2018. Currently, the first draft of the book is done, and I am working on edits and revisions. There’s also an IndieGoGo campaign through March 23 at http://igg.me/at/vultureculture101 which has already met its initial goal and is working toward stretch goals. While I have spent over twenty years making hide and bone art, I do not have extensive experience with tanning hides or cleaning bones or otherwise prepared raw specimens. However, no book on Vulture Culture would be complete without tutorials on some basic processes, which is why I’m seeking writers to contribute essays! 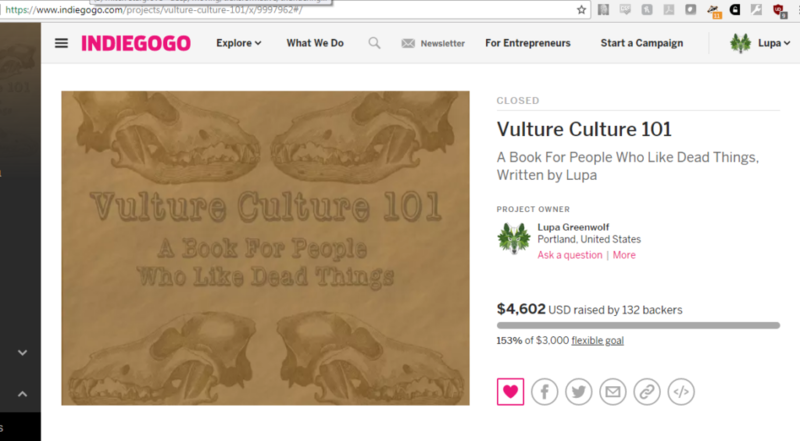 Each essayist will be compensated with $100 and 10 paperback copies of Vulture Culture 101 once it has been published. Thank you again to my IndieGoGo contributors for helping to make this happen! Wet specimens in jars, to include long-term care, how to change out old fluids, etc. Very basic mouse or rat taxidermy, including how to prepare the hide, positioning, etc. I will have already covered topics like where to get hides and bones, and legalities concerning them, so you don’t need to go over them again. Stick to the how-tos of your topic. I will be doing some basic editing and proofreading, but you should be sending me final drafts by the due date. At least three samples of your writing, published or not; Vulture Culture topics and how-to articles are extra-awesome, but send the best of whatever you have. Please also send a few sample photos showing your photography skills. You can send them as links and/or attachments. The deadline to apply is March 28, 2018. Selections will be made by April 7, 2018 at which point acceptance letters and contracts will be sent out. Completed final essays have a FIRM due date of June 7, 2018, so please make sure before you apply that you can dedicate the time to finishing your essay on time. You can also send me drafts in progress before that point if you’d like feedback. Posted on February 27, 2018 February 27, 2018 Categories Promotion, Vulture Culture, Writing the BookLeave a comment on Call For Writers for Vulture Culture 101! 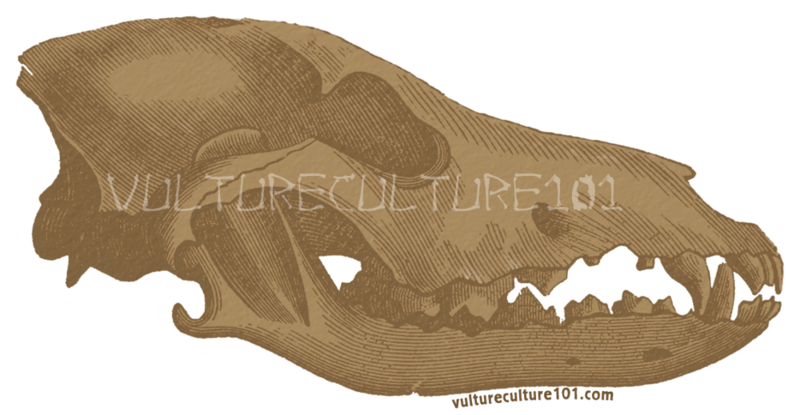 Why Vulture Culture 101 Isn’t Only For Beginners! And even those of us who have been around for decades still get people asking us “So why do you have all these dead animals around?” Wouldn’t it be nice to have a good book you can point them to–and if you trust them with your library, perhaps loan them a copy? Posted on February 7, 2018 Categories Promotion, Vulture CultureLeave a comment on Why Vulture Culture 101 Isn’t Only For Beginners! 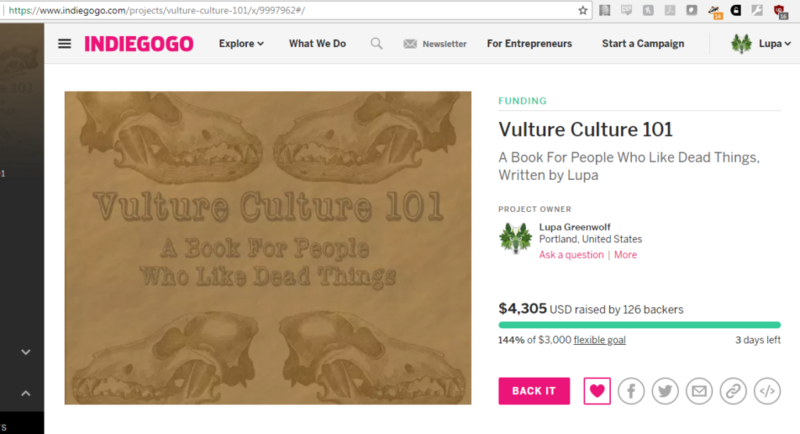 I am excited to announce that the official IndieGoGo campaign for my next book, Vulture Culture 101: A Book For People Who Like Dead Things, will launch on February 6, 2018! More than a book on taxidermy or bone identification, Vulture Culture 101 is a guidebook to the subculture surrounding the preparation, collection and appreciation of hides, bones and other specimens. It’s suitable for both beginners and experienced Vultures and may even appeal to those who are just curious about us and our collections. The full IndieGoGo campaign won’t be launched til the 6th, but you can get a taste of what will be included at the prelaunch page here. And you can sign up for an email reminder to be sent to you when the campaign officially starts! As with my wildly successful IndieGoGo campaigns for The Tarot of Bones, this campaign will help me to fund attendant costs for the book, such as paying guest writers for how-to essays on topics like hide tanning and bone cleaning, as well as the cost of printing physical books and having them shipped to me. Anything left over after that will help me cover my bills and other expenses as I finish up the last bit of writing, editing, layout and other work that remains before projected publication in Summer 2018. I will, of course, make an announcement when the campaign itself goes live, but for now check out the prelaunch page for a taste of what’s to come! And, as always, thank you for your ongoing support. Posted on January 8, 2018 Categories PromotionLeave a comment on Coming Soon: The Vulture Culture 101 IndieGoGo Campaign!